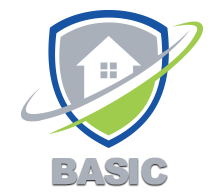 Our GUARDIAN-360 BASIC PROGRAM targets most common household invaders. Starting at only $39* per month for year round service protection. Most pests enter your home from the outside, so we use an innovative, effective approach to pest control by focusing on the exterior of your property. This service is an economical solution to most of the pest problems that you will experience around your home. On your initial service, your Pest Professional will perform and interior and exterior treatment of your home and subsequent exterior services (interior service as needed) will be performed every other month and you will always have the AJB Guarantee– if pests return, so do we! 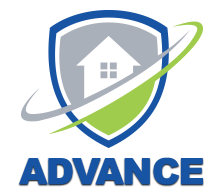 Our GUARDIAN-360 ADVANCE PROGRAM gives you all of the protection of the Basic Program with the added benefit of protecting your largest investment, your home against all wood destroying insects like termites and carpenter ants all for the value of *$59 a month. With this program you can preventatively and affordably protect your home from these destructive invaders. What does “Protection” mean? It means, if your home is ever found to have an infestation of any wood destroying insect such as termites, we will treat at no additional charge. In addition, you will have the added protection against rodents and fire ants. Every other month pest maintenance service that focuses on controlling pest populations around your home. Installation of the Sentricon with Always Active Technology termite system. Wood destroying insect warranty – if they come, so do we. Rodent control which includes (1) free exterior rodent bait station and traps for the interior of your home. Exclusion work and other fees may be additional. Fire ant protection and treatment up to an acre. 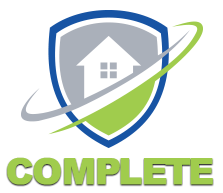 Our GUARDIAN-360 COMPLETE PROGRAM is our ultimate in protection against pests for the value of *$99 a month. This program includes all of the protection afforded by the Basic and Advance programs, with the added value and service of seasonal mosquito control, flea, tick and bed bug protection. When you enroll in this program you will receive monthly, seasonal mosquito control from March through October in addition to your regular every other month pest control maintenance. When bundling these valuable services together, we are able to offer them at a reduced cost that is affordable for you to fully protect your home. *Additional fee will apply for Initial service. Additional fee will apply for homes over 3500sqft. Installation fee will apply for Sentricon with Always Active Technology termite system. Active infestations of bed bugs, rodents, fleas, and ticks will require additional start-up costs.